Thumbs up to 187s all around! I like these wrist guards so much better than the Rector Proformers, they're just a little bit contoured and fit closer to my hand. 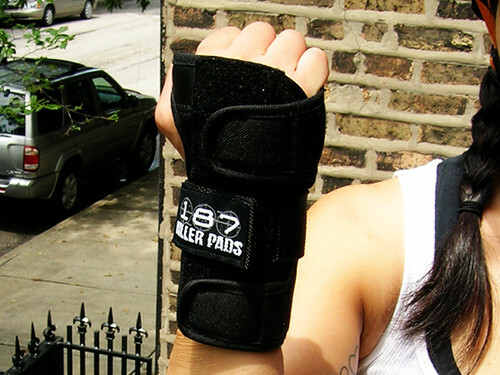 And I love 187 elbow pads, they were actually my first elbow pad. I traded my first pair to Biggie for her Pro-Tec Park elbows because I thought I was going to stay with recreational derby and then like three weeks later I tried out for WCR. 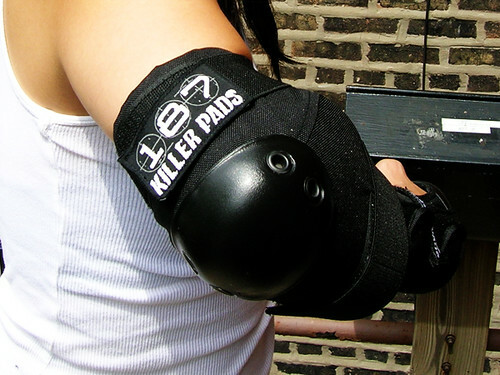 I'm not too fussy about elbow pads, I can't think when I've fallen on my elbows. So I mainly want them to be slim and not slip, which the Pro-Tecs did. I never really liked my Rector Fatboy elbows, just too bulky and the bottom strap always slipped. But 187s are small and close-fitting, and actually feel more secure on. 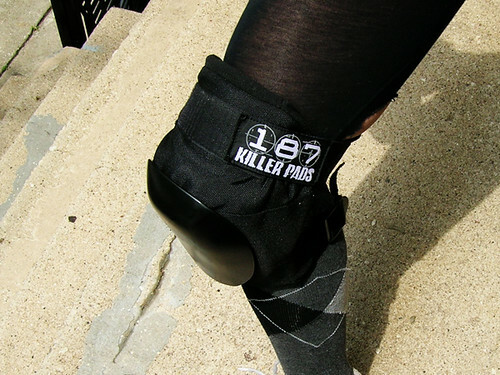 I was dubious about 187 knee pads because they're so huge. No worries though, I hardly even notice them on.